Kootenay-Columbia MP Wayne Stetski says proposed changes to the federal Fisheries Act could have an effect on logging controversies at Ymir and Cottonwood Lake. 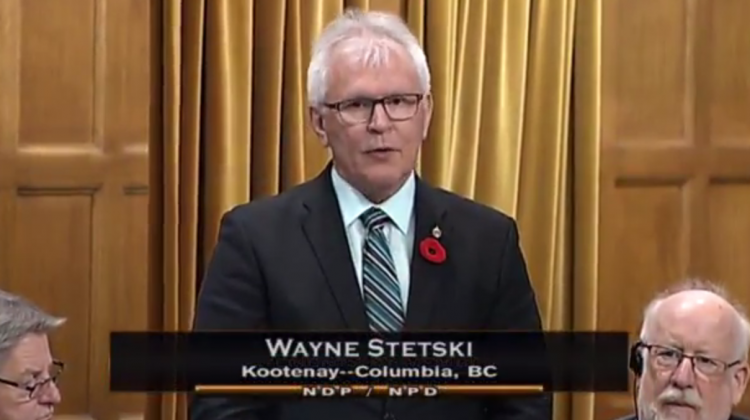 Stetski says Bill C-68 would improve protection of fish habitat. The bill passed third reading in the House of Commons and has been referred to a senate committee. Stetski says he has asked whether Fisheries and Oceans has received a request for review from BC Timber Sales for the work planned for the Ymir watershed, but hasn’t received an answer yet. Stetski also says he hasn’t given up on re-establishing a federal fisheries presence in the area. The Department of Fisheries and Oceans used to have an office in Nelson with a handful of staff, but it closed in 2012.